When you travel, you are bound to meet new people and some of them might leave a mark, a positive mark. And when that happens, a new world opens up to you. Back in 2014, when I travelled to the USA for the very first time with friends, we had the honor of having Jenny as our guide while touring through the amazing National Parks. I can still remember that tour quite vividly, so that definitely means something. 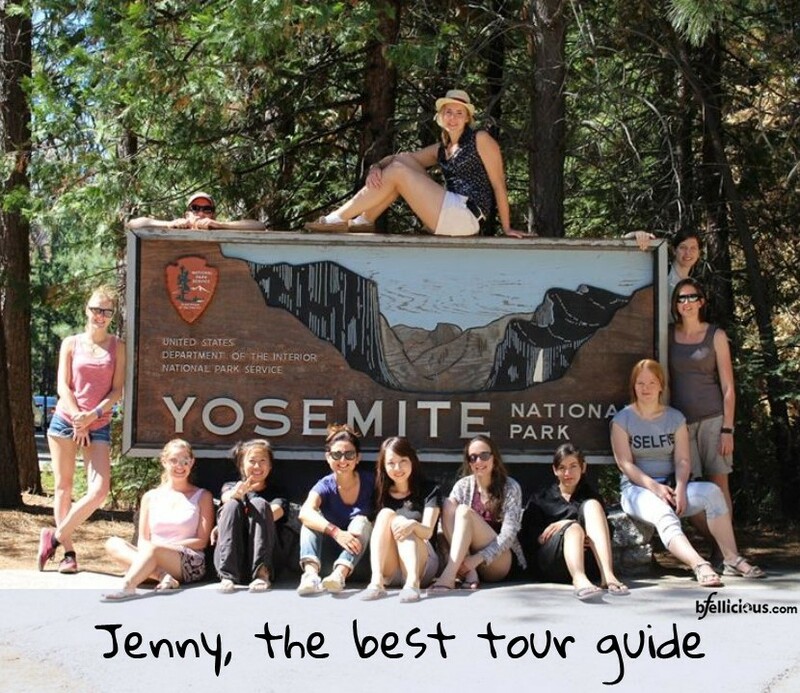 Since that holiday Jenny has continued to travel the world as a guide in the outdoor adventure industry. Let’s meet Jenny and catch a glimpse of her suitcase of memories. Hi Jenny. What do you want people to know about you? The last place I lived was in San Francisco, CA. I’ve been working in the outdoor adventure industry for the last six years, and dream of starting my own company one day. When did the travel bug bite? I come from a very small town in Pennsylvania and never really dreamed of travelling the world. As a kid, I was very “square”, practical, and made the responsible safe decisions. It was the summer before my first year in college and I had spent years saving for college because I didn’t want to be one of those stereotypical “broke college kids”. My older sister had booked a trip to Hawaii and begged me to go with her and I tried hard to resist because I had a plan! Eventually, she convinced me to go with her and ever since then, I chase the thrilling feeling of being in a new place and not knowing anyone or anything. How did you make the decision to travel for a living? Was it a difficult one, for yourself / your family and friends? Living my life nomadically has been a struggle over the years with friends and family. Luckily, after a bit of an adjustment period for all of us, we’ve found a way to make it work. I make sure to prioritize them during specific times throughout the year and when I’m with them, they have my full attention. They know that I’m not leaving them because I don’t care for them, but that I need it for my own happiness. How would you describe traveling? Travelling, for me, is a chance to discover something new and broaden your horizons. It’s an opportunity for you to become a citizen of the world and be able to be an active participant in the change that happens in the communities you visit and the change within yourself. Every place I visit has left me with a lasting impact. It’s a mutually beneficial experience! Do you have a spot in this world where you totally feel like home? Where you go to unwind? My spot that I will always go back to is Yosemite National Park. It’s a place that I find myself missing if I stay away for too long. It’s quiet and beautiful and always helps me get my head back on straight. 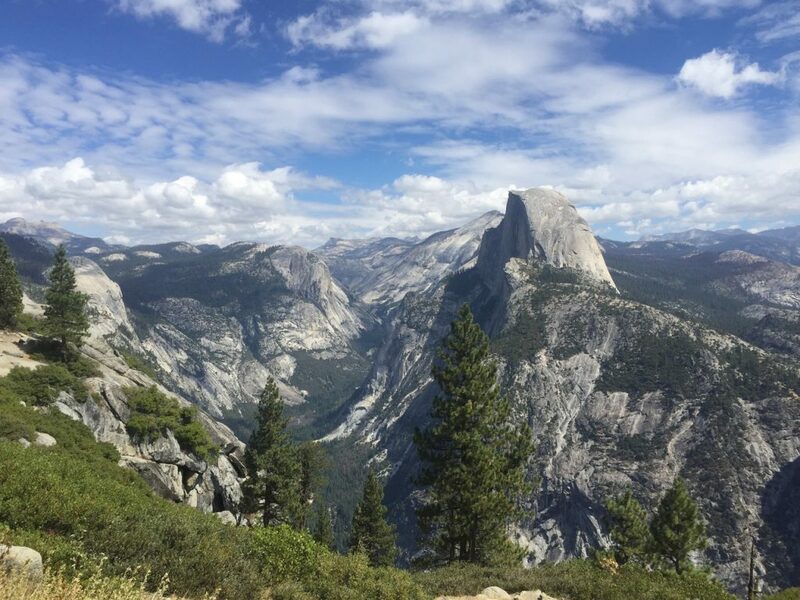 Do you think Yosemite changed a lot through the years? Do you see any climate change effects? Just in the first seven years that I’ve been leading tours and visiting on my own, yes, I do think it’s changed quite a bit. There are A LOT more people… Of course… the wild fires, to the drought… It’s frightening and it’s something I worry about. My favorite spot in Yosemite is probably anywhere in high country. Where do you mostly travel? I usually travel to developing countries. It inspires me to do good work and create a life of purpose and intention. Is there a specific event/moment that was a wake up call for you? I visited a women’s program in Nepal, SASANE, where women who had been trafficked can go to learn to become paralegals so they can help other women who have been trafficked. This visit really opened my eyes to the importance of education and empowering women from a young age. What is a perfect day of travelling for you? Your favorite thing to do after a day of travelling? I’d say a perfect day of travelling is seeing something magnificent, eating a good meal, and having good conversation. My favorite thing to do after a day of travelling is to eat and have a good chit-chat with a friend, new or old! If I’ve been travelling with the person, I like to sit and reminisce about my favorite parts of the day over a nice meal. Favorite moments while travelling in 2016? 2016 was a huge travel year for me.. there are so many favorite moments it’s gonna be tough to choose just a few! I started the year in India where I met some beautiful souls doing my Yoga teacher training in Goa at Kranti Yoga and then was able to participate in an Indian wedding in Jaipur! Everything about India, from the colors to the food and the people, it was an inspiring and beautiful place to visit. 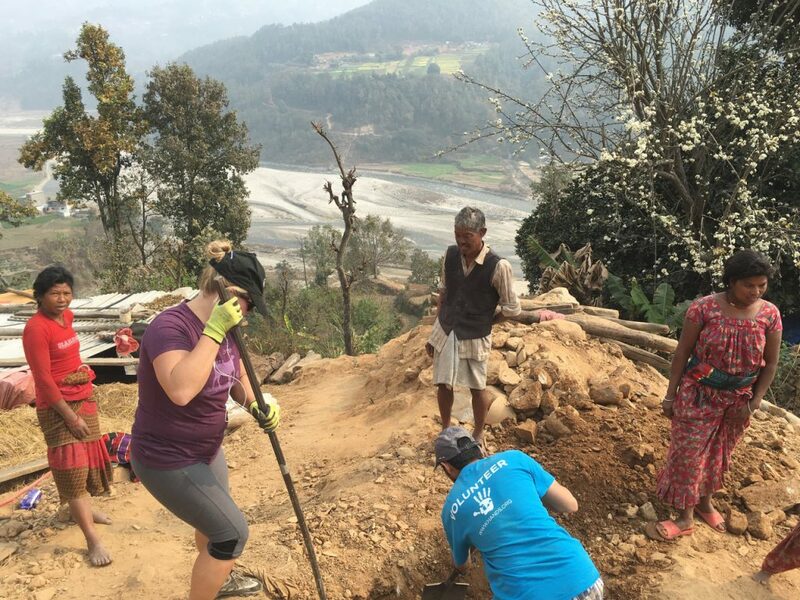 Following India, I was then fortunate enough to visit Nepal and volunteer with an amazing non-profit, All Hands, to help with earthquake recovery where I met some of the most hardworking individuals and did the hardest manual labor I’ve ever done in my life! The Nepalese are some of the most lovely and generous people I’ve had the pleasure of working with and become friends with. I left feeling incredibly inspired with a really full heart and a bunch of new friends! 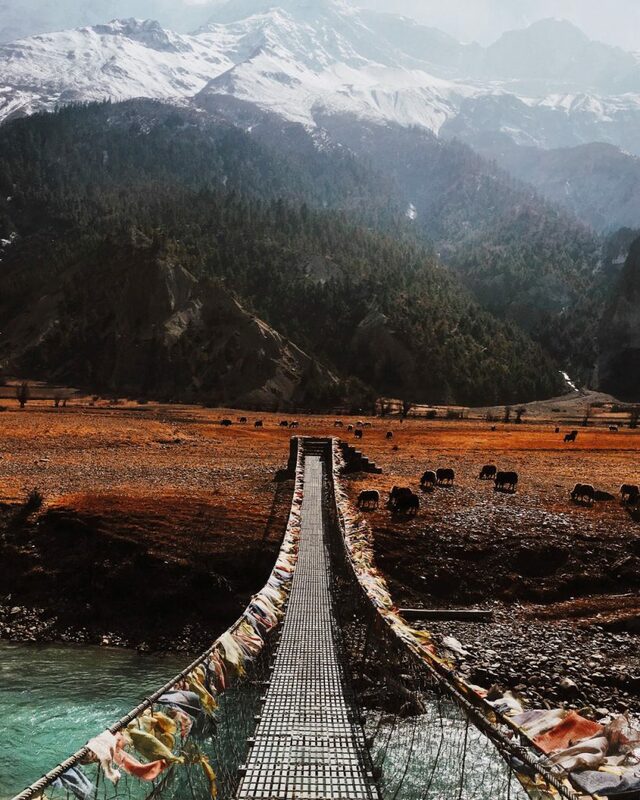 Before I left Nepal, I met up with one of the girls I met in at Kranti, and her friend, now mine as well, Harry, and we hiked the Anapurna Circuit! Eventually I went back to the states and got to spend an incredible three months backpacking, river rafting, and mountain climbing in the beautiful states of Wyoming and Utah. 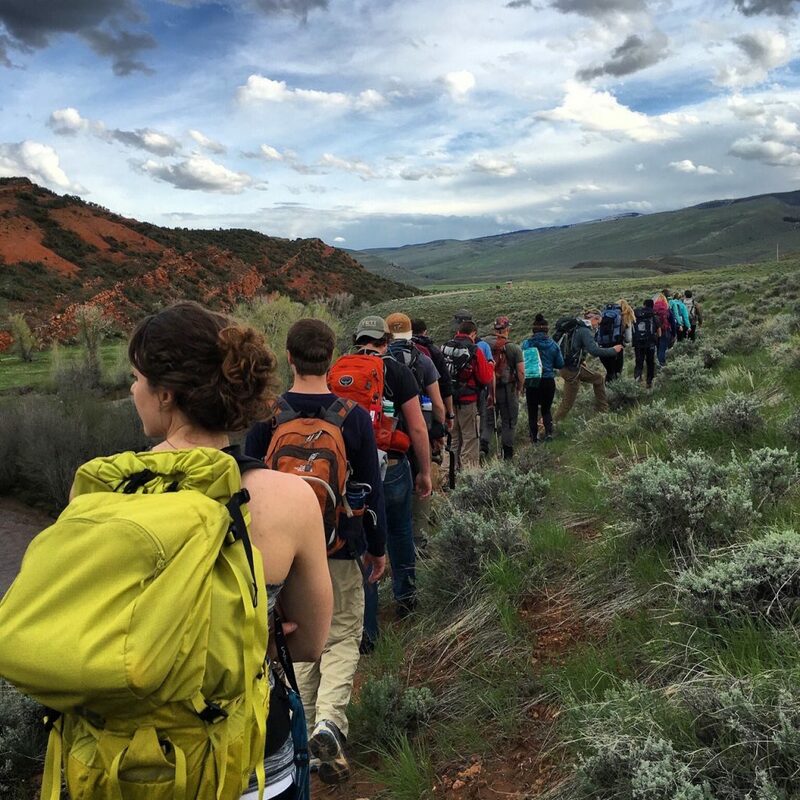 I was getting my wilderness medicine and rescue certifications with a wonderful institution called NOLS (National Outdoor Leadership School) and left with new confidence, new friends, and new skills. 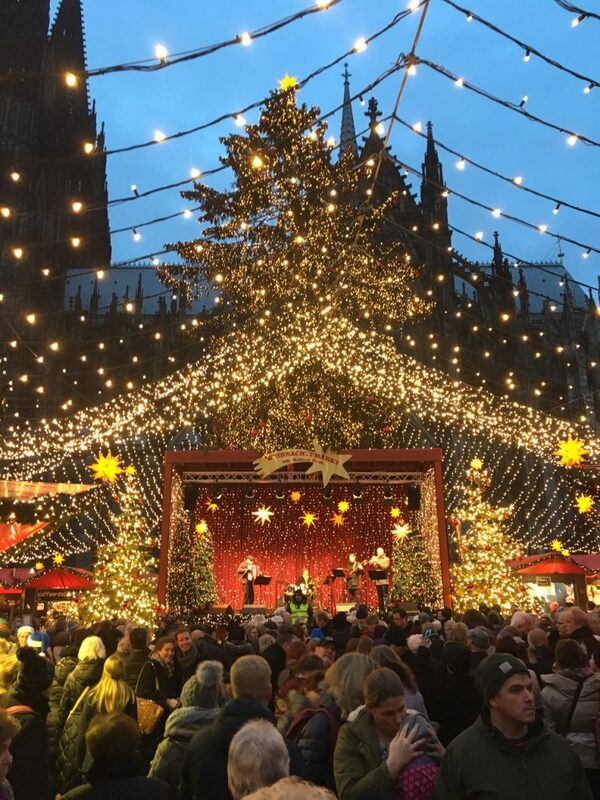 Finally, I finished the year with my best friend in Europe! Our trip took us to Amsterdam, Belgium, Germany, Italy, and finally finished with birthday celebrations in Paris, France. I really couldn’t have asked for a more incredible year and it wouldn’t have been possible without all of my friends, and family’s support (and couches to sleep on). Yosemite: This place is literally magical. The granite cliffs, waterfalls, giant trees, really make it a beautiful and unique place. 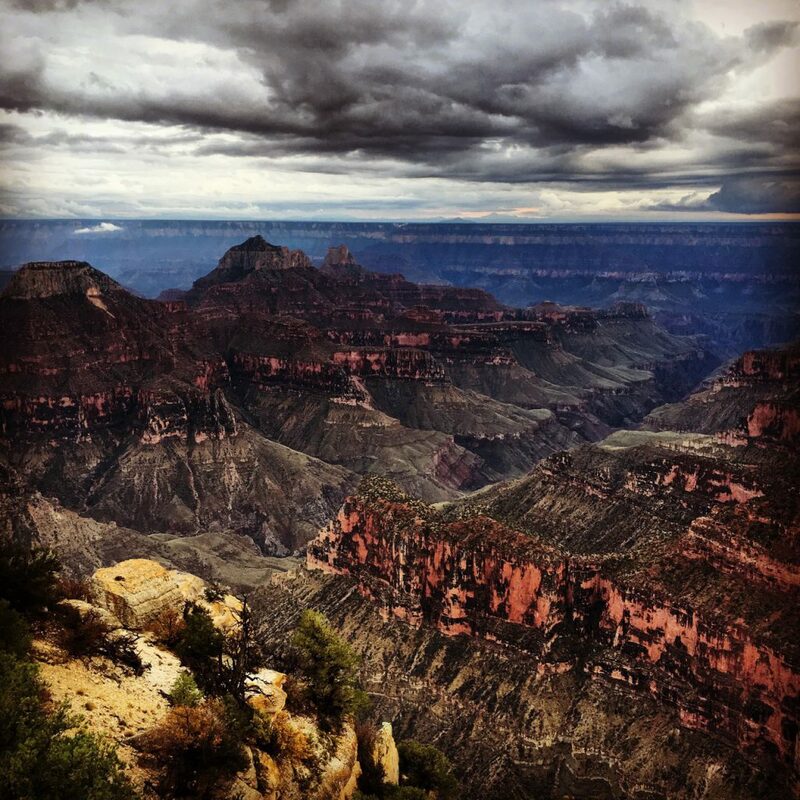 Grand Canyon: This was a place I always imagined going when I grew up, and no matter how many times I went there over the years as I worked as a tour guide, the sunsets and sunrises never ceased to amaze me. 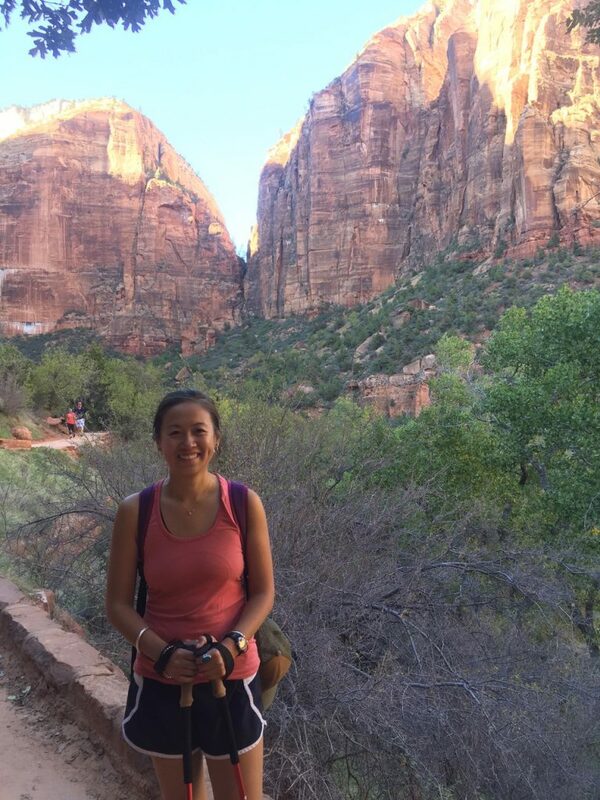 Zion: I always found it beautiful and exciting! There are so many hikes that take you to such different landscapes. Glacier: The huckleberries! You need to go to try the huckleberry ice cream!! Acadia: You can view the sunrise from the Eastern most point in the United States and makes it the first view of the sun when the sun rises, it’s pretty incredible. What do you want people to remember after traveling with you? I just hope people feel inspired to follow their dreams and never settle for what’s easiest. What are some of the best memories you have while traveling? My best memories while travelling have been times when I completely divert from any sort of plan and find myself someplace that I would have never gone to on my own and meeting locals who end up saying really profound things even though their English isn’t great. Comfortable shoes, bathing suit (you never know when you might need it! ), and my camera. What is your bucket list (and why)? I want to go to Alaska, Africa, and South America. Those are the top three right now, I’ve just always dreamed of those places. But, there’s just too many places to visit and re-visit! Thank you Jenny for this interview and for being the best tour guide I had so far on a holiday! It’s been a pleasure and I hope our paths will cross again soon! All photos belong to Jenny Cheng!